Donald Bridgeman is a graduate of Howard University (BSc – Economics & Political Science) and Southeastern University (MBPA – Master’s Degree in Business & Public Administration). Mr. Bridgeman is a former Director of the Office of Human Resources Management, of Prince George’s County, Maryland. He has over 20 years of experience in personnel management, recruiting, training, and development. He is noted for his expertise in institutional development and personnel management. In recognition of his work, he has received a number of professional awards and the designation IPMA-CP (International Public Management Association – Human Resources). 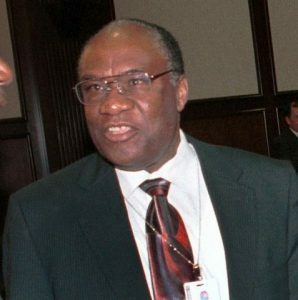 Mr. Bridgeman has also served in administrative, management, and other leadership positions in the U.S. Department of Housing and Urban Development; District of Columbia Public Schools; Mortgage Bankers Association of America; and Howard University as Director of Center for Housing & Real Estate. A native of Grenada, Mr. Bridgeman has been a leader in the Caribbean Diaspora community in the Washington DC metropolitan area for over 40 years. He is well-known for having founded a number of diaspora charitable and cultural organizations, and has served in top leadership positions of a number of Caribbean civic organizations. Mr. Bridgeman has received many accolades, awards and recognition for his service to the community at large.